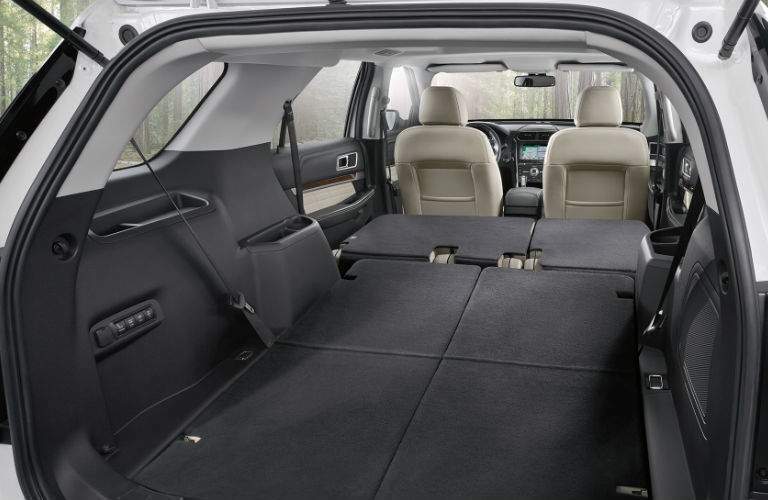 Adventures that include a car full of passengers require the comfort and style that only the Ford Explorer can provide. A model with an incredible legacy, the Explorer has always stood for more inclusion – more inclusive passenger space, more inclusive cargo volume and more inclusive towing. With the 2018 model, the Ford Explorer becomes a more comfortable and stylish way to bring up to 7 passengers from point A to point B. New for 2018, the Ford Explorer gets some great new wheel designs, updated front end styling and trim-level tweaks like chrome-tipped quad exhaust tips and special colors. Additionally, it’s easier than ever to take advantage of available active safety features and interior technology with simplified packages and options offerings. The Sport trim level carries forward, giving drivers access to aggressive design elements and a performance-focused powertrain and drive. Test-Drive a 2018 Ford Explorer in Scottsboro, Huntsville, AL and Chattanooga, TN Today! 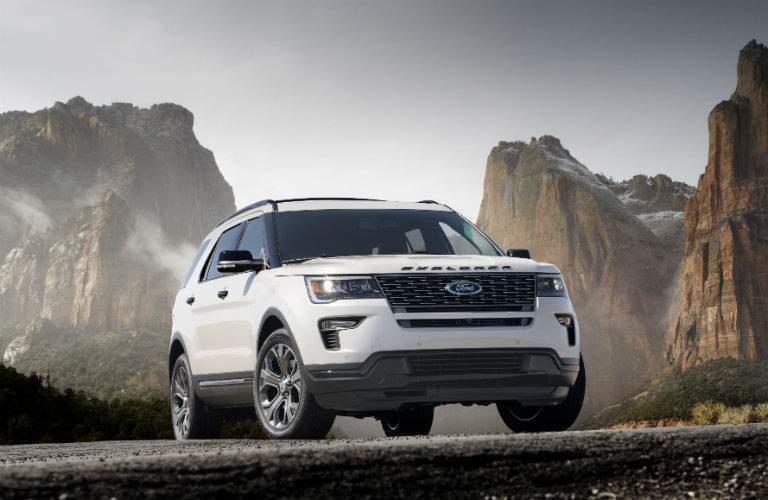 Inclined toward adventure, the 2018 Ford Explorer is a versatile third-row crossover SUV that offers drivers plenty of incredible standard features a range of impressive performance specs. Three engine options allow you to prioritize efficiency or performance. Able to change cam timing to match performance needs, the standard 3.5L Ti-VCT delivers 290 horsepower and 255 lb-ft. of torque. Looking to tow? The 2.3L EcoBoost® engine supports class II towing when properly equipped and delivers 280 horsepower and 310 lb-ft. of torque to get you, your passengers and a whole lot of trailer from A to B. If you’re after top performance, the available 3.5L EcoBoost® V6 works with both turbocharging and direct injection to generate a best-in-class 365 horsepower and 350 lb-ft. of torque. Standard in the 2018 Ford Explorer Sport and 2018 Ford Explorer Platinum, this engine supports up to 5,000 lbs. of class III towing. Although the Ford Explorer’s performance specs lend it to the image of spartan capability, the interior is composed and lavish. 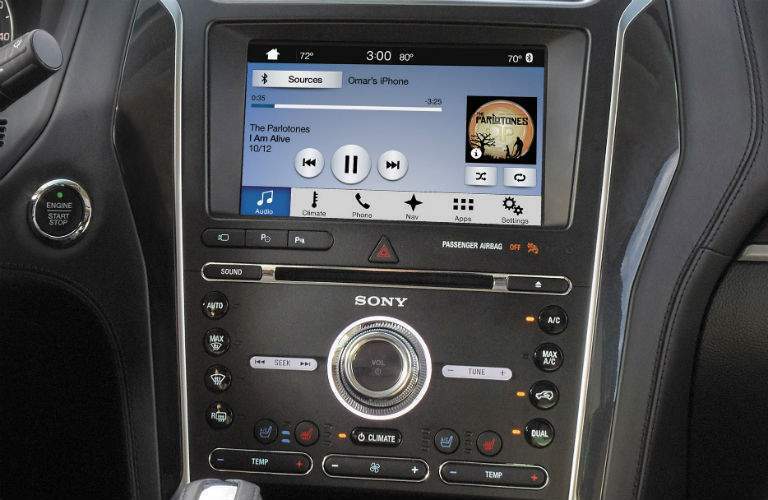 A standard rearview camera and Ford SYNC® with LCD color screen can be upgraded to SYNC®3, which features an 8-inch color touchscreen, Apple CarPlay and Android Auto compatibility. The available 12-speaker Sony® with Clear Phase™ audio system ensures you and your passengers enjoy crystal-clear, first-class audio. Available on the 2018 Ford Explorer, Ford Safe and Smart Package gives you the most cutting-edge active safety features available. 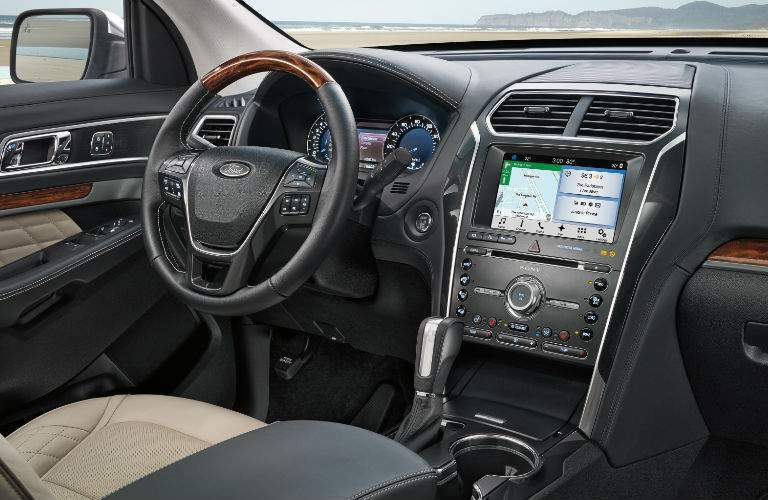 These features include adaptive cruise control, lane-keep assist, rear cross-traffic alert, blind-sport monitoring, automatic high beams, rain-sensing windshield wipers and more. The 2018 Ford Explorer gives you and your passengers a first-class ride. Able to seat 7 passengers, fit over 81 cubic feet of cargo and tow up to 5,000 lbs., the Explorer helps you blaze new trails and enjoy old ones in style and comfort. For more information on the 2018 Ford Explorer, or to schedule a test drive, contact us today!